Mobiletc - OK see you again with my Bro here. I'm happy with the name of the game, a game that could make anyone play it happy, annoyed because it did not get past the challenge, and it can be tedious to fill the time, authorize a fella. that's why I like the games, java games primarily. because I can play it anywhere there are original hp javaonly. 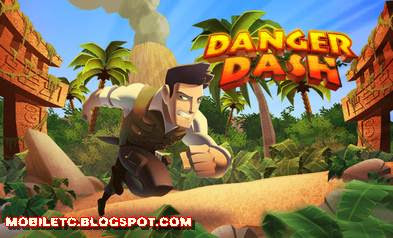 and Game Java Hack Danger Dash 3D. * Avoid predatory Tiger to become a true adventurer. * Face danger in three different locations: the lost city of the jungle, and the mysterious Temple. For more details see our yuk equally Screenshots from this latest Hack games Java,here is a screenshot. This game is a game hack, so it's not like the original quiet again, but I also provideshis original version of the game here. This game already hacked all prices in the shop to zero, so we are free to upgrade and buy anything we need with free without money. If friends want to download it I've prepared a download link according the size of the screen and type hp comrades all Game Java Hack Danger Dash 3D.